Kimberly here. As I did not have time this past week to write up this announcement, I would like to thank the author himself, Douglas Pennick, for providing the information below. 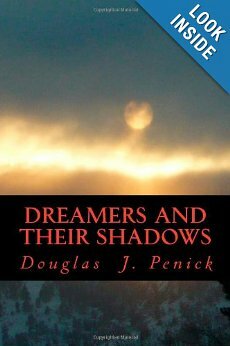 Dreamers and Their Shadows by Douglas J. Pennick. Mountain Treasury Press, July 2013. Two ancient scrolls, The Secret Annals, are discovered in the 1950’s in a Tokyo bombsite. 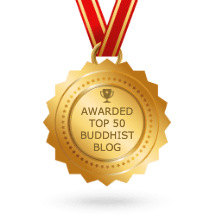 They purport to be the history of an unknown 15th-Century Japanese spiritual teacher who, in a time of social chaos, sets out to establish enlightened society. He begins his teaching saying: “Abstinence is no path at all. We are gambling on true love. It is an untested path.” In documents from students and spies, the Annals then give an intimate portrait of a charismatic leader, his teachings and the transformative journey he shares with his eccentric band of followers. The scrolls are unmasked as forgeries, but ten years later, a retired professor becomes obsessed. Who created this hoax? And why? To the professor the Annals offer new possibilities from a kind of parallel reality. On his deathbed, he makes his American assistant promise to continue searching and to translate the scrolls. The assistant moves to New York. It is the time of the Vietnam war and the counter-culture. He has doubts about the professor, but the world of the Secret Annals begins to seep into his life. He finds within the Prince’s teaching a path through this world of trackless uncertainty. Tantalized, he senses a new world of passionate intensity just within reach. “This incredibly beautiful and unique. DREAMERS AND THEIR SHADOWS entices the reader into rich new worlds of understanding and enjoyment.” – William Osborne, composer, author, journalist and, with Abbie Conant, founder of The Wasteland Company. 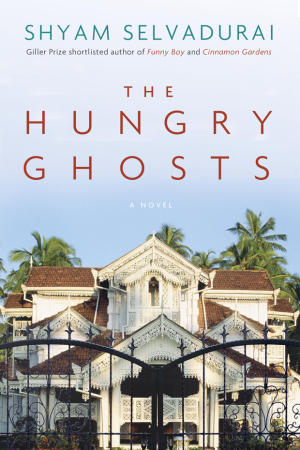 Shyam Selvadurai’s third novel, The Hungry Ghosts, hit books stores in May. Ian McGillis of The Montreal Gazette described the protagonist as follows: “a half-Tamil, half Sinhalese Shivan Rassiah, a young gay man torn between the difficult adjustment to Canadian life and the unresolved dramas he and his family left behind when they fled the civil war in Sri Lanka.” An interview with Selvadurai by Eric Volmers of The Calgary Herald can be read here.